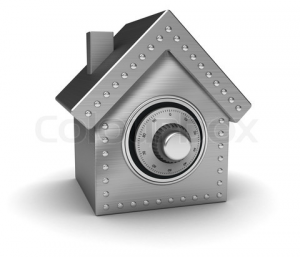 Will Your Long-Term Care Planning Default Keep You from Proper Protection? Most people assume that they do not need long term care planning in their overall estate planning. Since illness and death are both extremely difficult subjects to broach on your own, many people don’t even realize the serious possibility of facing the high statistics. In fact, a recent fidelity study found that the amount of money people will have to spend on typical medical and health care expenses in retirement is up 70% from 2002 numbers. A person retiring this year at age 65 will have to come up with around $280,000 just for their health care, and the cost for long term care insurance is not helping the situation either. In fact, long term care insurance premiums have been rising dramatically in recent years and this means that people now have to pay more to get even less support from their long-term care policies. It is a huge mistake to assume you won’t be touched by long term care. 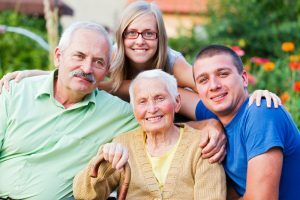 There is a possibility that you have already encountered a family member who did not do appropriate planning and has had to suffer financially as a result of a sudden incapacitating event, such as a diagnosis of dementia or even a broken hip that leaves them in the nursing home for far too long. A tsunami of baby boomers is expected to retire in the coming years and have a significant need for long term care. Details from the U.S. Department of Health and Human Services shows that a person turning 65 this year will have a 70% chance of needing long term care. But fewer than 16 % of American adults today have long term care insurance to pay for that. Avoidance is the planning default because many people don’t realize the opportunities available to them or how to most appropriately fit it into their existing schedule. If you find yourself in this situation, it is important to schedule a consultation with an experienced estate planning lawyer in New Jersey today to learn more about your options and to consider how Medicaid and other planning tools can help you while you are still alive. It seems like every day you may hear about updates to Medicaid and Medicare, and many people who have scheduled meetings with estate planning attorneys come in very confused about the difference between Medicaid and Medicare. Although both programs were created by federal laws, they accomplish very different things. If Medicare does not pay for long term care, you could find yourself very stressed out how to proceed and protect yourself. 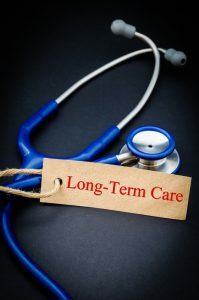 Most people are already aware of the benefits of long term care insurance, but fewer insurance companies are offering these traditional policies and it can be very expensive. Other products that cover needed services like continental care, home care, a nursing facility, recovery or an indemnity plan have come into the marketplace. Furthermore, there are some life insurance policies you can purchase that may pay for long term care and similar services if they are outside of traditional LTC setting. You’ll also want to set up a time to consult with an experienced Medicaid planning attorney to discuss how to qualify for this critical government program in the right way and ensure that you are not facing any penalties for the way that you approach planning. 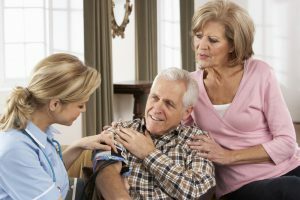 A consultation with a Medicaid planning attorney and an estate planning lawyer can ensure that you have the assets set aside for your retirement that you may need, while also getting the peace of mind that you have taken the necessary steps to protect yourself in terms of needed long-term care. Given that so many people will have to rely on some form of long term care services in the future, it is in your best interests to identify an attorney who can help you articulate a plan that protects your best interests. 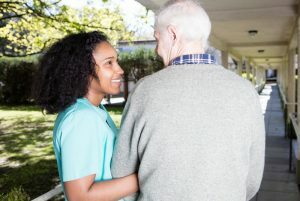 A new Kaiser study confirms what many people already working in the long-term care industry already know; that there are fewer long-term care residents in nursing homes but many of these patients have decreasingly successful conditions. 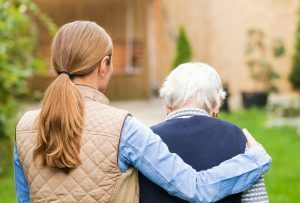 Investigators recently determined that approximately half of the people in nursing homes across the country had a diagnosis of dementia, whereas under one-third had psychiatric conditions such as mood disorders and schizophrenia. Approximately two out of three residents are currently taking psychoactive medications such as sedatives, anti-depressants, anti-psychotics or anti-anxiety drugs. The total nursing hours increased to more than four per resident day in 2016 and Medicaid is the primary payer for most of these facilities. If you are thinking about looking ahead into the future and encompassing a comprehensive plan for your estate as well as your assets and Medicaid, you will need the experience of a knowledgeable estate planning lawyer. Long term care insurance is not the only way to afford your future, but it is one of six ways that you may be able to approach health care costs that may surge into your later years. 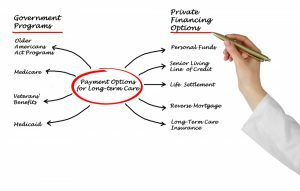 Given that the average cost for a person turning 65, in need of long term care services, is $138,000, it is thoroughly responsible to ensure that you have a plan in place. If you have already checked whether or not a long term care insurance policy is possible or accessible and identified that it is not within your financial reach, there are still five other options you can consider to fund your long term care expenses. These include health savings accounts, adding riders to your current life insurance policies, using your personal savings, taking advantage of veteran benefits when you are eligible, and exhausting all of these options to have your long term care cost paid through Medicaid. Medicaid planning requires advanced consideration and will likely need insight from an experienced estate planning lawyer who is thoroughly knowledgeable about how to protect your best interests. Scheduling a consultation today with an asset protection planning attorney and an estate planning attorney can help to clarify what’s next. A new study identifies that there is artificial intelligence that could help identify the early signs of Alzheimer’s and Dementia-related problems approximately a decade before the actual symptoms begin to emerge in an individual patient. More than 67 MRI scans were explored from the Alzheimer’s Disease Narrow Imaging Initiative Database located at the University of Souther California, Los Angeles. Of those evaluated cases, 29 belonged to healthy individuals and 38 were from Alzheimer’s patients. The machine learning developments have shown significant promise for a diagnosis of Alzheimer’s since early detection is critical when it comes to treating this disease. When someone receives an earlier diagnosis, they can get treatment sooner rather than later and may have the opportunity to put their financial and legal affairs in order. After a diagnosis of Dementia affecting one of your parents, it is important to get their financial and legal orders in affair immediately while they are still able to make decisions for themselves. Otherwise, issues of mental capacity may arrive and could lead to a contest of the estate planning documents down the road. Did you know that once someone is diagnosed with a cognitive problem that the process of estate planning is much more difficult? The good news is that you have lots of options when you notice the early signs of Alzheimer’s and similar conditions. Proper planning can prevent problems for your loved ones and ensure that your wishes are followed when the time comes. Unfortunately, the aging population in the United States is becoming increasingly affected by dementia. Furthermore, family members who are seeking assistance on behalf of their loved ones with dementia may be confused about how to proceed if they have never made a will before. Testamentary capacity is one of the most important components of the estate planning process for someone who has recently been diagnosed with dementia. A person who is in the more advanced stages of dementia may not be able to understand what they are signing or be able to explain what they wish to happen to their property. This means that the will could eventually be challenged when that person passes away. the sooner on in the dementia diagnosis that you can share these concerns directly with your loved one and begin to put together a plan of action for addressing the major concerns for his or her future, the better all of you will feel about the situation and the less likely it will be to face a contested will situation down the road. It is never easy to deal with a major diagnosis in your family, particularly when you have estate planning intentions that you wish to carry out. Having a knowledgeable estate and elder law planning attorney who has managed these delicate situations before and who can give you proper guidance about your future is extremely helpful in this difficult situation. How Are You Going to Pay for Long-Term Care? Plenty of statistics indicate that up to 70% of Americans will need long-term care at some point in time. Just one significant long-term care event or the diagnosis of a cognitive condition can significantly alter your retirement plans. Many people assume that Medicare will help to pay for all of your long-term care expenses. However, many of these are not classified as medical treatments and will therefore not be paid for through Medicare. 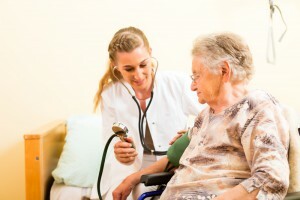 Medicare will help to pay for the first 100 days of nursing home care and some of the long-term care expenses may be covered by Medicaid but this program is typically geared for low-income individuals. You may pay with three primary sources; family, self-insuring by paying through out of your own pocket, or a long-term care insurance. The least complicated but often the most difficult or expensive way for long term care is to put aside extra money in your savings to pay for these costs. However, bear in mind that the average costs of long-term care can top $130,000. You might even assume that your family will help to take care of you. However, when it comes time that you need assistance, getting it from your family may not necessarily be available. Family members like children may have moved away or you may have comprehensive healthcare needs that cannot be addressed by family members. 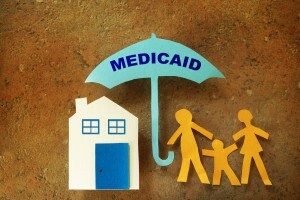 The individuals who have a lot of assets will typically not qualify for Medicaid without advanced planning for Medicaid purposes so long-term care insurance could be a critical help but it is important to identify that this insurance opportunity early rather than later so that you can lock in rates while you are still relatively young and healthy. Long-term care insurance, which covers critical expenses like late life needs, nursing home care and at-home nursing care, is becoming too expensive for many retirees to be able to afford. This is an unfortunate discovery because many retirees are not appropriately prepared for the cost of long-term care. 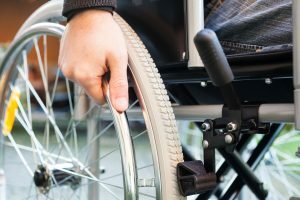 A study conducted by LifePlans determined that the average premium for long-term care insurance was $2727 in 2015, representing an increase of more than 40% from 2005. Up to 55% of the individuals who had opted not to purchase long-term care insurance, who are over age 50 made that decision because it was too expensive. Long-term care insurance helps to fill an important stop gap for retirees. More than 40% of Americans over age 65 will spend at least some time in a nursing home, according to a recent report shared by MorningStar, others will need at home care as well. Medicaid will cover nursing care only for those individuals who have fully exhausted their financial assets. 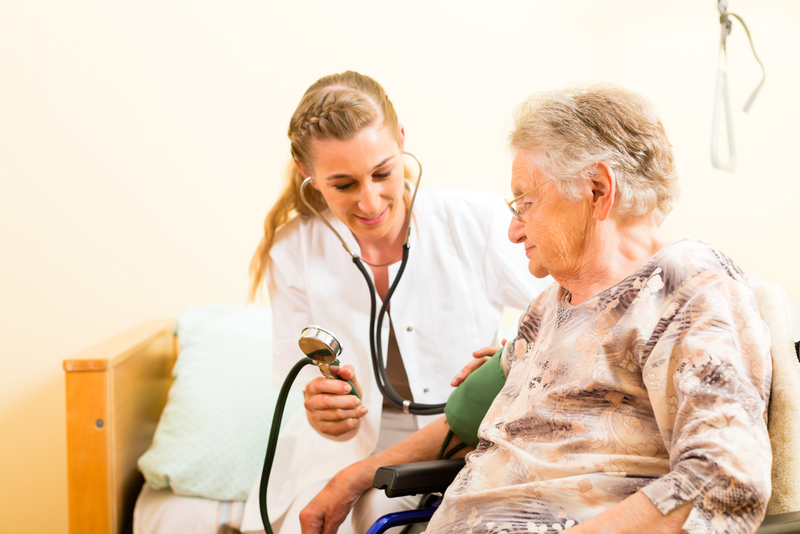 Medicare will only cover nursing care under a few narrowed circumstances. Overall, more than $338 billion was spent on long term care services in 2013 alone. Long term care insurance may be a critical part of your plan for retirement and getting older, but you should also consult with a knowledgeable estate planning attorney about how to approach Medicaid advanced planning. Do you have plans for what would happen to you if you were to become incapacitated? Many people are under the impression that long-term care is something that only older individuals need to consider. 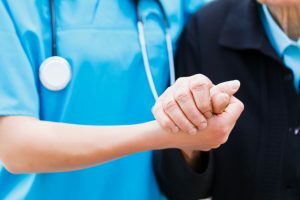 It is certainly true that a broad range of baby boomers and other elderly individuals have to think about their long-term care needs as it relates to their longevity and their healthcare concerns. However, anyone can be affected by a long-term care event. Consider that some of the claims paid out by long term care insurance companies affect those individuals in their 20s. Just one car accident could have significant repercussions for you. This highlights the importance of not only having the appropriate long-term care insurance in place, given that the cost of a private nursing home room on an annual basis is edging closer to $100,000 a year, but it also highlights that it’s important for individuals of all ages to have critical healthcare powers of attorney and other documents that articulate who is eligible to make decisions on your behalf, should you become unable to do so. The right estate planning attorney can help you determine what documents are most appropriate for your individual situation. The best way to plan for long-term care is to have a system in place in the event that something happens to you or someone you know. Consulting with an estate planning and elder law attorney may be the first step you need to take. 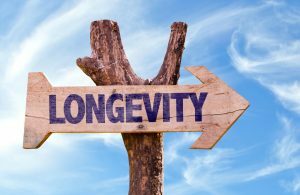 People in America are living longer than ever, and this means that traditional approaches to estate planning and retirement planning no longer cut it. Wanting to pass on assets to your loved ones is a worthwhile goal, but so is setting aside the time to ensure that you have taken care of your own future as well. 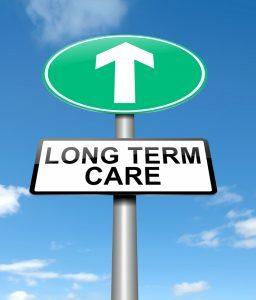 Long-term care planning involves multiple components such as thinking about your next steps if something were to happen to you, including safety nets like a long-term care insurance policy and a long-term Medicaid plan. Trying to deal with these concerns in the heat of the moment when a problem has already appeared is extremely difficult. It can also limit your options in the moment. Although no one wants to think about the potential for a disabling event or a cognitive decline, recognizing that the statistics show that at some point you’ll be dealing with this is the best way to approach the situation from a planning perspective. 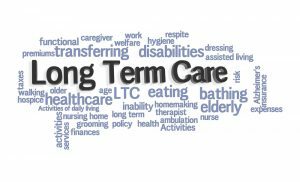 Long-term care may be short term or it may involve a more in-depth situation like being in a nursing home. The only way to plan ahead is to think about whether the goals you have line up with your plans as they are now. It might be hard to look that far into the future and yet that’s a worthy goal in order to protect you and your loved ones.